This entry was posted on January 20, 2011 at 8:15 pm and is filed under Uncategorized. You can follow any responses to this entry through the RSS 2.0 feed. Both comments and pings are currently closed. 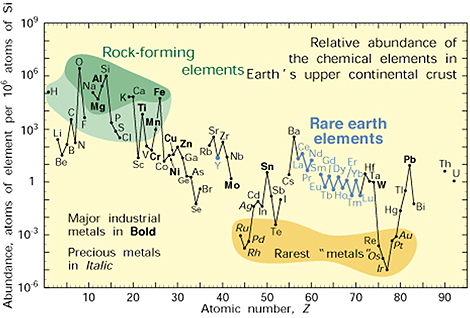 Element naming is more interesting if you look at actinide and toward then end of the periodic table. We get Am, Cf, Bk… (named after places); or Rf, Sg… (named after scientist). So Lanthanide aren’t the radioactive ones? What does google define: say about it? And only Princeton has heard of it? AH-ha!!! I knew it! Nice try Princeton! A word from the Spanish front. As the I in IUPAC stands for “International”, it would be a bit preposterous to universally claim that “The suffix -ide, is reserved in chemistry for an element that has given up an electron to another atom” Maybe so in English. But the suffix is different in Spanish. 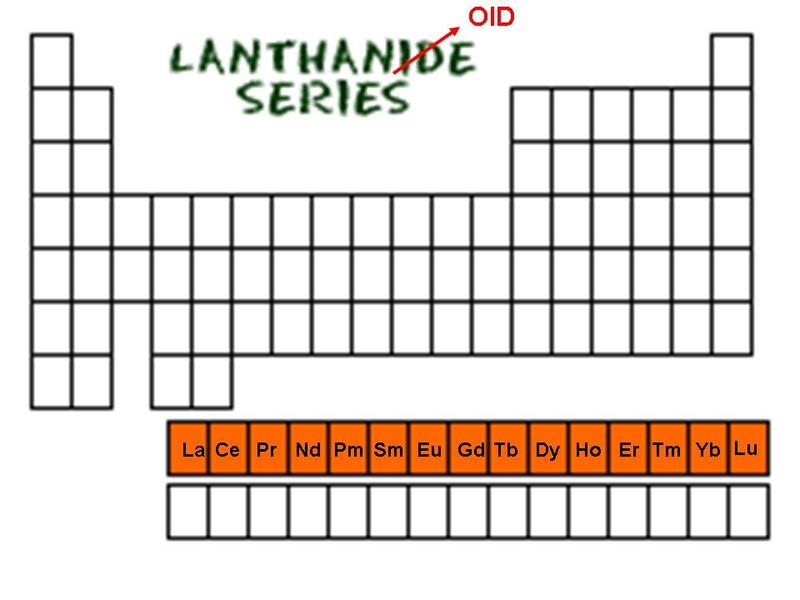 “Sodium chlor-IDE” turns into “clor-URO de sodio.” Therefore, the -ido suffix is free to form “lantánido” (lanthanide). Better somebody warn the international TBBT translation team. Any input for other languages? The problem in English remains. The translators of this blog into Spanish will have a problem. Yesis true,but in spanish “lantanoide” could be also acceptable. Minor correction: “ide” means it has gained an electron from another atom, not given one up. In your example of sodium chloride, the chloride formed after taking an electron from the sodium. Indeed. I will fix it. Also, what a great blog! As a huge fan of comedy and chemistry, I love TBBT and your work on the science end of it makes it such a joy to watch! 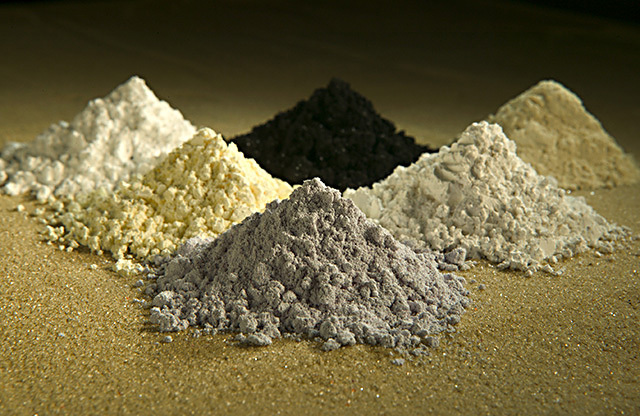 I grew up with the term “lanthanide/actinide” or to be more precise in German: “Lanthanid” (singular) “Lanthanide” (plural) and “Actinid/Actinide”, respectively. Though, I had some teachers notoriously using the “oid(e)” suffix. The structure of the periodic table is quite funny. The effect behind the “delayed” filling of the (hydrogen-like) d- and f-orbitals – screening of the nuclear charge and contraction of these orbitals – was quite familiar to me some time ago. It kept me busy in my PhD work (http://www.mpi-hd.mpg.de/personalhomes/feuerstb/dissertation_feuerstein.pdf – unfortunately only in German). Thanks, I did not know this. I did think Amy was wrong. Thanks for clearing that up. I noticed it, “lanthanoid” sounded wrong to me. But I figured it had to be correct, since TBBT has a pretty bright science advisor on staff! There’s small mistake in the number of protons of Thulium, Ytterbium and Lutetium you might want to correct. I would like to see an episode where Sheldon is pulled over for speeding by a Police Radar Unit. The Police set their radar unit on a street where they targeted people driving around a curve in the road. Here is the science portion. Now, I am not a science guy, so, I am basing this off of a teacher who claimed he was ticketed for speeding. He claimed the radar was distorted and was not a true reading of his actual speed. He fought it in court and won. He sited that radar being “shot” at a car while on a curve caused the radar to reflect back with a higher speed due to the bending of the signal off the metal of the car as it was in the turn. So, if this is true and a radar reading from a car that was in a curve when “shot” produces a higher speed…….this would be a great storyline for Sheldon to fight the system. Howard, Raj and Leonard help him create diagrams, charts and a live demonstration for the court. Penny can be advising Sheldon to simply pay the ticket and forget about it. Can you tell me if the science in the Teacher’s story correct? Thanks in advance. Huge fan. awfully late for such a comment, but the actinoid americium (95) is commonly in smoke detectors. but anyway. Short and sweet.. there is something that is itching my brain.. if the universe was born, with a big bang “theory”..
What was before? Where were the boundaries? what was beyond? You should recommend that they write an episode involving the guys visiting Analytical Graphics, Inc (AGI the makers of STK) in Exton, PA. We make the software that Howard would use and our corp headquarters has a lot of personality. Our software provides 3D analysis of things like possible conjuctions, launches, burn maneuvers, and sensor field of views. We even have our own rocket scientist and employees with a lot of personality. We are well known in the space community and in use at places like Joint Space Operations Center (JSpOC). Check out http://www.agi.com. Ok, I thought of another good idea for an episode…..Penny goes to school….she is asked to take a placement test……as she is taking the test, she realizes that she knows a lot of the answers…..that her hanging out with the “nerds” seems to have rubbed off on her. When gets her results, she is scored at a much higher level than she (or anyone) could have imagined. She flashes back to times where the guys debated or discussed their work or science in general…..during the flash back whenever the camera shows her, she has this glazed over look….as if all she is hearing is the noise Charlie Brown would here when his teacher spoke….